Planning A Vacation To Bandung? You Have To Try These 5 Halal Street Food! Bandung, also known as Paris Van Java, is famous for its tourism destinations. Many tourist spots can be found in this capital city of the West Java Province. Moreover, Bandung offers various regional culinary specialties, particularly traditional snacks that are widely known by locals and regular tourists. All these street foods are halal and very affordable. Here 5 most mouth-watering street foods in Bandung and where you can buy them! The king of fruit! Some would say durian is the best fruit in Southeast Asia. 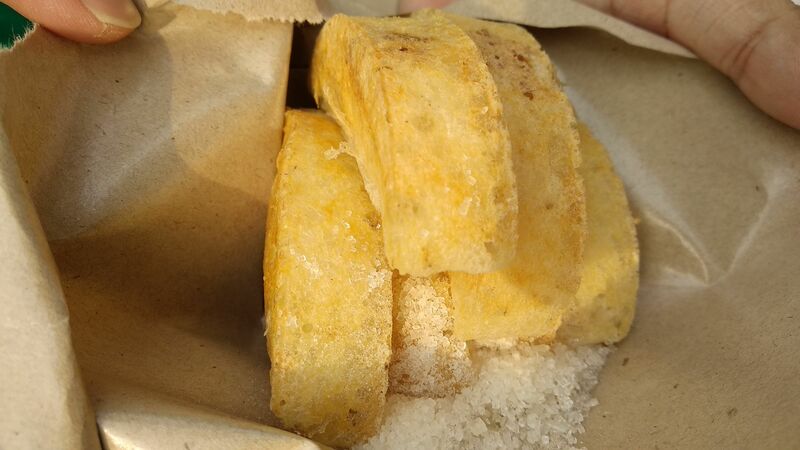 In Bandung, you can have them in a form of a unique cuisine that will brighten your sunny day. Although Bandung is not the city that produces this fruit, we can see a number of 'Es Duren' sellers' on roadsides, especially the one leading to Dago area. The sellers would sell them in small carts and would shift around from time to time. 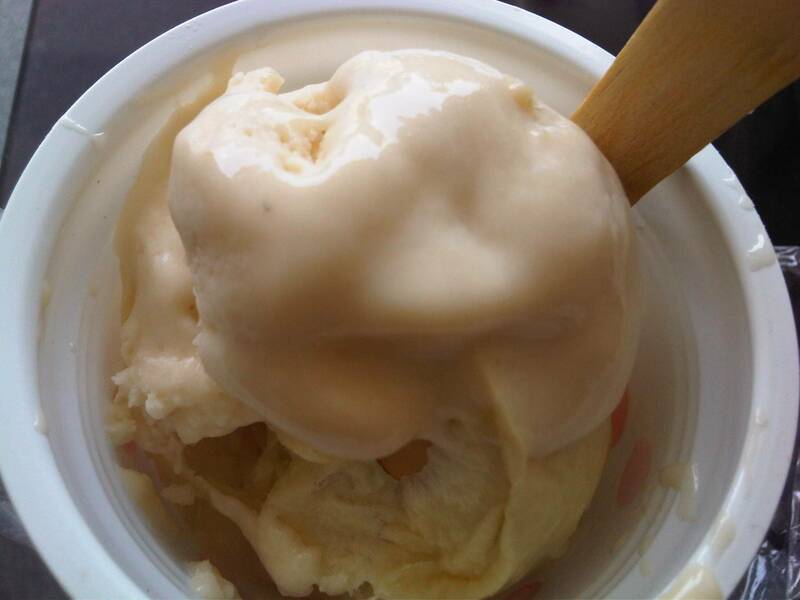 You only need to spend IDR 12,000 for a cup of Durian Ice Cream. The Bandros is an iconic pie from Bandung. They are made from a mixture of rice flour, grated coconut, coconut milk and served with sugar. Its shape is similar to a half moon. These delicacies are cooked with a traditional grill. Bandros are often served for breakfast or as a snack during tea time. They would taste even more delicious when served hot and accompanied by hot tea or coffee. There are two types of Bandros known in Bandung, namely salty Bandros and sweet Bandros. You can buy a package of Bandros for as little as IDR 10,000. The next one is an extremely unique street food that can only be found in Bandung. This tasty snack is called the Cilok! The name might be unique for foreign tourist, but it is one of the most common and affordable street food in Bandung. Cilok stands for 'Aci Dicolok' which means stabbed starch in Sundanese language. This is because dried beef meat is used for their fillings. Stab them with sticks, dip them in a mixture of peanut sauce and soy ketchup and you're ready to enjoy their heavenly taste. You will feel as if you are chewing on a meatball except its smaller, chewier and definitely tastier. Cilok sellers are everywhere in Bandung. They will cost you around IDR 10,000. If you are a fan of spicy food, this street food will bring you to another level of mouth-watering goodness. Seblak originally came from Bandung. This street food is made from chewy cracker sautéed along with onion spices. In its development, Seblak is served with some additional toppings such as eggs, sausages, sliced vegetables, meatballs, seafood and many more. The best part is, you can choose your preferred level of spiciness. Seblaks from different vendors would taste completely different from each other. Some of them are cooked with onion spices, garlic, salt, galingale, cayenne pepper, turmeric, and other flavourings. After sautéing, raw crackers that have been soaked in water are added to the pan for stir-frying. 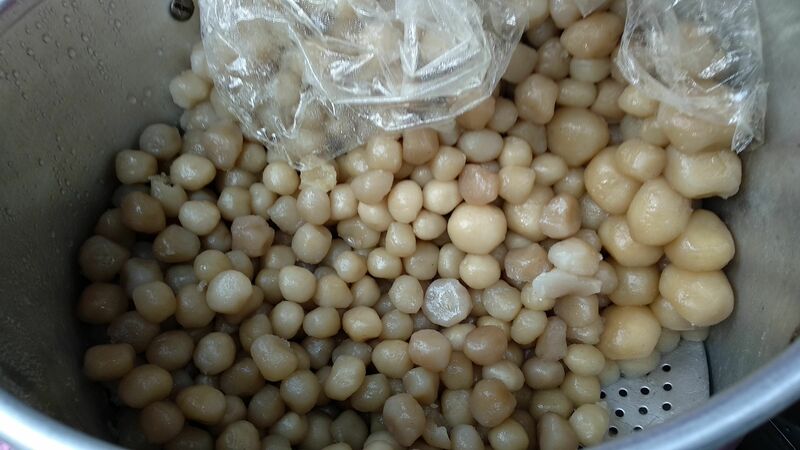 When you try a spoon of Seblak, you will feel something chewy in your mouth. No doubt, the boiled raw crackers are the main ingredients. For a bowl of Seblak, it would cost around IDR 10,000. Seblak is also easy to find in every spot in Bandung. Batagor has now spread out around all of Indonesia. However, the best Batagors still come from this city. 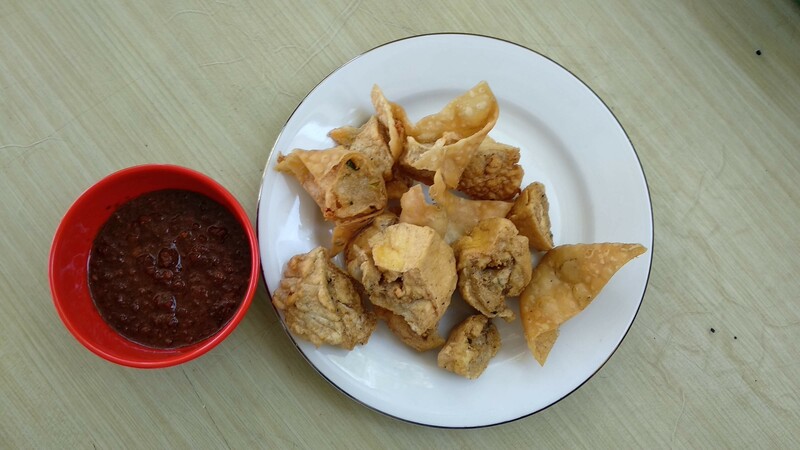 Batagor is short for 'Bakso Tahu Goreng', which means Fried Tofu Meatball. It is usually served with peanut sauce and soy ketchup. The 'meatball' is actually made from different kinds of seafood including tuna, mackerel, and prawn. After they are minced, they will be stuffed inside a Batagor skin and finally deep fried in palm oil. 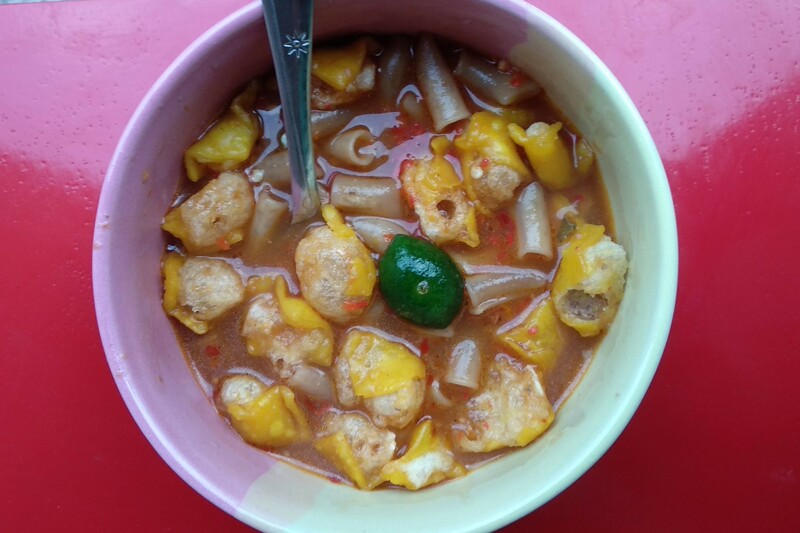 This dish is influenced by a Chinese Indonesian cuisine known as Siomay. The difference between the two is that Batagor is deep fried while Somay is steamed. Batagor sellers can be found in street-side food stalls, portable carts and restaurants. You would have to pay IDR 12,000 – 15,000 for a plate of yummy Batagor.